Belgian Marcy Szwarcburt was the creator of the Donaldson brand, which experienced unprecedented business success in the 1980s and 90s. 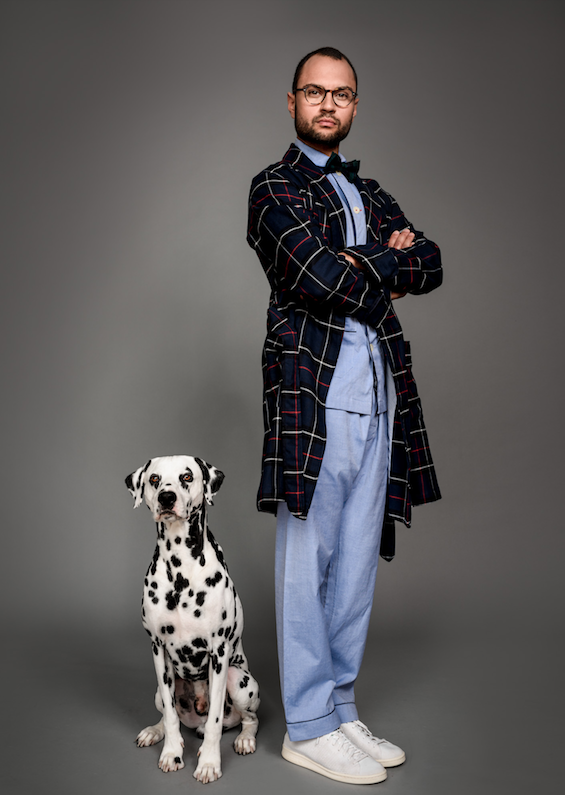 Following the discontinuation of the fashionable label, he launched a project around mixed-wear and high-end pyjamas. 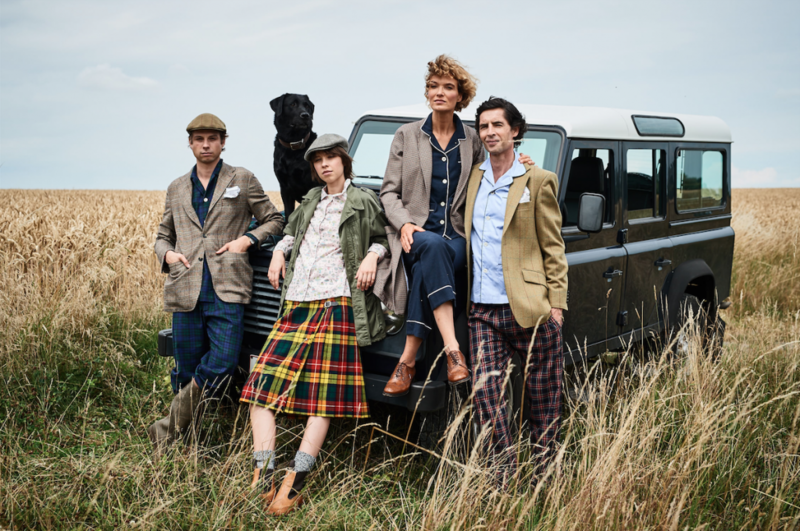 Marcy Szwarcburt: This time, we are focussed on slumber wear in poplin, cotton sateen, Oxford cotton and cotton velour, which can and should be worn during the day. That’s the idea, the basis of the project. So I am emphasizing perfect cuts, a tailored feel and beautiful finishing touches such as mother-of-pearl buttons, for example. 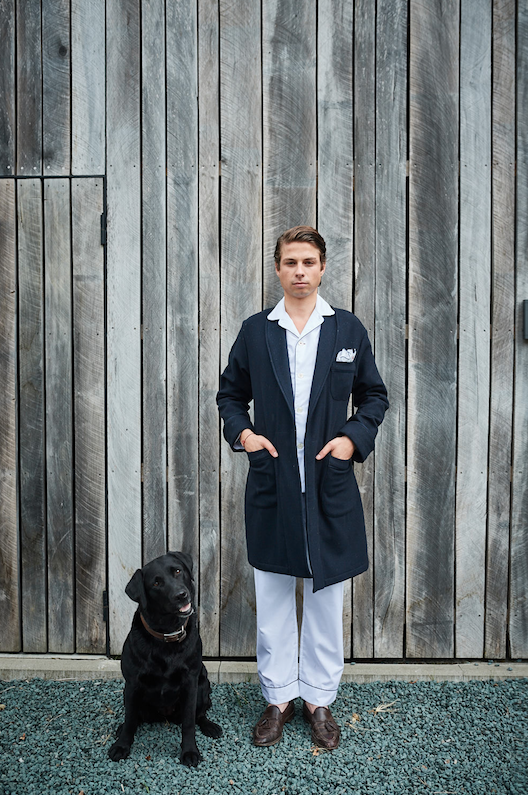 What makes our pyjamas unique is that they are designed like classic men’s shirts. I want women to wear the tops like a blouse, and men to wear a bathrobe from the label over their jeans to walk the dog. TLmag: But why pyjamas? Were you a visionary who could already foresee, in 2012, that six years later the concept of comfort would overtake trendiness? M.S. : I would never dare say that I knew the idea would work. But as I am not a stylist, I might have another approach to clothing. More down to earth, perhaps. This mono-product approach does not limit me at all. This season, I launched a line of slippers that accessorise with my pyjamas. As with Donaldson, I need material to tell my stories. TLmag: Your pyjamas are sold at Printemps, Bon Marché and even Merci in Paris, at Barney’s in New York, at Luisaviaroma in Florence, at Isetan in Tokyo… These are all prestigious locations. What do you think attracts these buyers? M.S. : Again, the fact that I am not a stylist. When I travel to meet the buyers, I try to understand their expectations and needs. In 2018, one doesn’t design clothing based on luck. Maison Marcy has arrived at the right time: a time when these stores are trying to evolve, to offer products that are more in phase with people’s daily lives. I guess that I bring them the answers they are looking for. TLmag: You export 95% of your production. You never stop moving, do you? M.S. : Luckily, I create indoor clothes designed to be worn outside (he smiles). People today no longer have a static life. This is probably even more true in other countries. For my part, I can’t help but move forward, to develop new ideas. There is the e-shop that I still intend to develop, then, I hope, the opening of a Maison Marcy store. Even when a brand is distributed in prestigious boutiques and department stores, having your own location makes the story even more credible. And as you understand: I tell stories.